Hi guys. Did you have a nice weekend? It is as hot where you live as it is here? 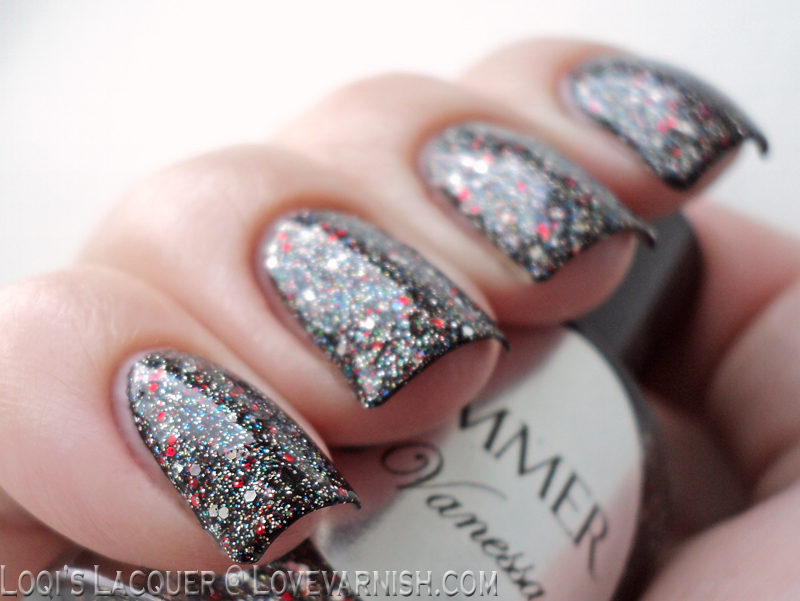 This week I've got Shimmer Vanessa for you. 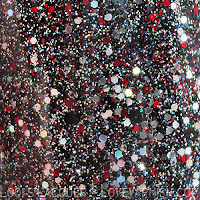 Vanessa is a mix of small and medium silver glitter with medium black and red and tiny multicoloured glitter mixed in. The tiny multicoloured particles mostly flash blue, as you can see in the second and third pictures below, which is very pretty. Vanessa can be worn on it's own, but I layered 2 coats over black for these pictures. 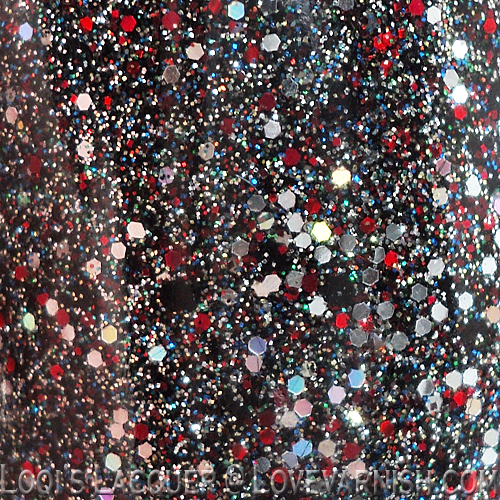 Prettyyyyyyyyyyyy, one of my favourite Shimmer polishes I think! Do you guys like it too? Wow, this is a beautiful polish!! Beautiful Pairing! 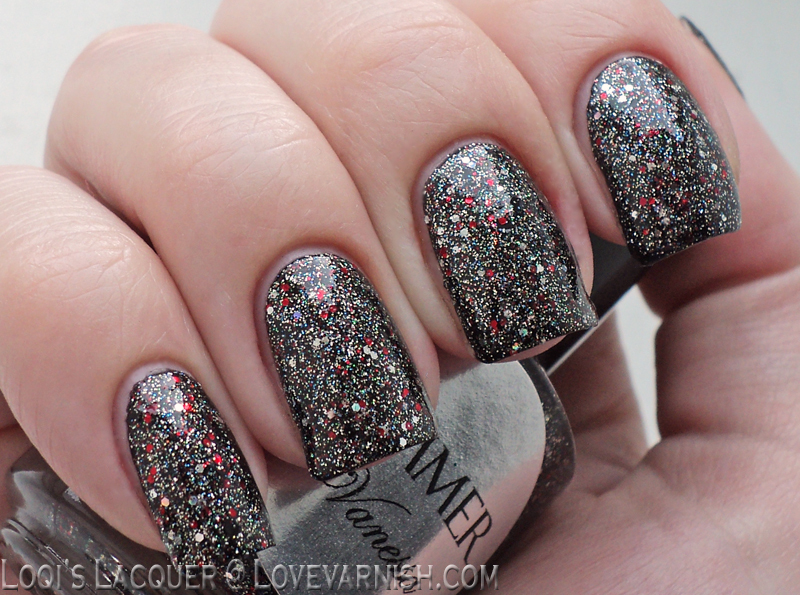 I always enjoy seeing Shimmer polish swatches because of the complex glitter mixtures she uses. Vanessa is obviously not exception! I love this polish, especially over black...it's gorgeous! Pretty! And it's been pretty hot and humid i'll be happy when fall gets here. It's one of my favourites, so pretty right!